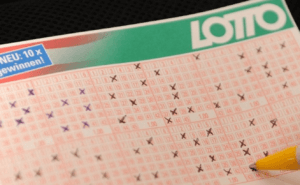 One of Austria’s most popular lotteries, the Austria Lotto is a 6/45 lotto game that holds draws twice a week, and has a jackpot minimum of €1.5 million up for grabs. This lottery game also features eight prize tiers and a rollover mechanic. What else is in store for you? Read on as I take a closer look at Austria Lotto! The Austria Lotto—also known by other names, such as 6aus45 or Osterreichische Lotterien—was founded by the Austrian Lottery Toto Company in 1986, and has been featured as the company’s flagship game ever since. Its first draw was held on September 1986, three months after establishing the Austrian Lottery Toto Company. In the succeeding months after the first Austria Lotto draw, five other games would fill up the company’s lineup, but it was clear that Austria Lotto was the favorite. Today, it still continues to be Austria’s most well-known lottery. It’s a simple, traditional draw-style game where balls are drawn from a single drum. It is played twice every week, on Wednesdays and Sundays, and offers very good odds compared to other European lotteries. Simple Format: Austria Lotto utilizes a simple 6/45 format—which means both newcomers and experienced players alike can easily learn how to play. Minimum Jackpot: Jackpots start at €1.5 million. Jackpots Grow: When no one wins the current jackpot, it will simply carry over to the next draw and be added on top of the prize pot. Meaning, you could be looking at huge jackpots if multiple rollovers occur. Bi-Weekly Draws: Draws are held every Wednesdays and Sundays—giving you two chances to win per week. Eight Ways to Win: Austria Lotto features eight prize tiers you can win in. Tax-Free: All Austria Lotto prizes are 100% tax-free. How Does Austria Lotto Work? As previously mentioned, Austria Lotto uses the 6/45 lottery format—which means players pick six numbers from a selection range of 1 to 45. There’s also a bonus number, known as the Zusatzzahl, drawn from the same pool of 45 numbers. Unlike some lotteries, however, this extra number doesn’t dictate the jackpot winner. Instead, it determines who wins in some of lower prize divisions (namely, the 2nd, 4th, 6th, and 8th tiers). Speaking of winning, you must match all 6 of your numbers to bag the jackpot prize. Matching 5, plus the Zusatzzahl, meanwhile, gives you the second prize win. Matching only 5, without the bonus number, lets you take home the third prize, and so on. In total, Austria Lotto features 8 prize divisions you can win in—with the lowest requirement for winning is by getting a 0+1 match. This means that if you only match the Zusatzzahl number, you can still win something. By the way, if no one wins the current jackpot, a rollover will occur and add on to each succeeding draw’s prize pot until someone wins. This means that, theoretically, the prizes could become ridiculously huge thanks to the rollover mechanic. If you win in Austria Lotto, you’ll be glad to know that all prizes are 100% tax-free. That is, of course, if you live in Austria. If you live in another country, however, your local tax laws may still apply. Plus, if you used an online lottery service, there may be commission fees to consider as well (though this will depend on the website you used). Another thing to note is that prizes are paid out in lump sum form—so don’t expect to get your winnings in yearly installments. As for getting your winnings, the process depends on how much you’ve won. For instance, winnings €1,000 or less can easily be claimed—within 6 months from the draw—at any Austria Lotto retailer. Meanwhile, winnings between €1,000.10 and €80,000 require you to fill up some claim forms and waiting for 4 weeks to get your prize. Finally, if you win prizes beyond €80,000, you would have to go directly to the Austrian Lotteries Customer Service Center located in Vienna and make your claim there. For online lottery site players, this means that you would have to make the journey to Vienna to get your prize (unless, of course, the lottery service can claim it on your behalf). Austria Lotto’s prizes don’t usually grow to mega-lottery levels partly thanks to their relatively good odds. In other words, people tend to win before any significant rollovers occur. Not that big wins haven’t happened at Austria Lotto (as shown previously). Unlike other lotteries that have 180-day deadlines for claiming winnings, Austria Lotto prizes can be claimed up to 3 years from the date of the draw. Proceeds from Austria Lotto ticket sales help fund a number of charities and other good causes. Beyond that, the lottery also helps fund the Austrian Federal Sports Organization. With Austria Lotto’s good odds, you just might walk away a winner! Austria Lotto may not be as big as other lotteries, but that doesn’t mean there’s nothing good on tap. You’re looking at a bi-weekly lottery game that offers simple mechanics, favorable odds, and a guaranteed €1.5 million minimum jackpot that has a chance to rollover. The best part, of course, is that all prizes are paid out in cash and are 100% tax-free at the source. No wonder it’s one of Austria’s most popular lotteries!